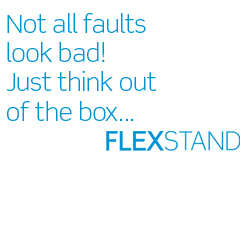 You have just entered the virtual door to FlexStand, a product from CIM Industrial Systems A/S - one of the most specialized Danish companies in the area of technical software solutions for the industry. CIM is short for Computer Integrated Manufacturing. Our highly specialized knowledge of industrial automation and technical IT is the core of our products and output. Output, which has one common trait: It increases the value of the production in your company. CIM is the leading company for LabView and TestStand development in Europe. CIM, as a National Instrument Alliance member, has the highest number of certifications in Europe and is proud to offer products as FlexStand. More information about CIM goto www.cim.as.